Cross the two ends over each other. Pass one end over and then under the other to make the Half Knot - which takes the load (arrows) in both ropes. 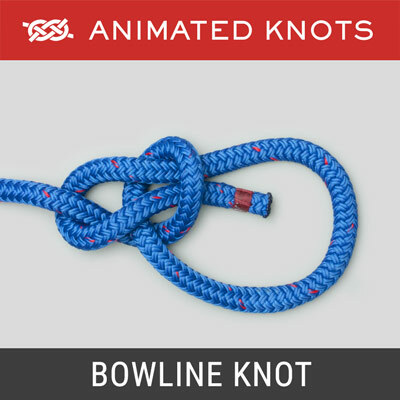 Uses: Ashley described the Half Knot (ABOK # 48, p 14) as "a binding knot, being the first movement of the Reef or Square Knot." 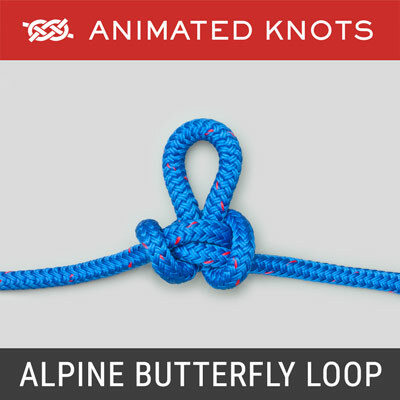 Tying it: As shown in the animation one end is wrapped round the other to produce a symmetrical knot. The symmetry is important because the knot can only "bind" when tied like this. 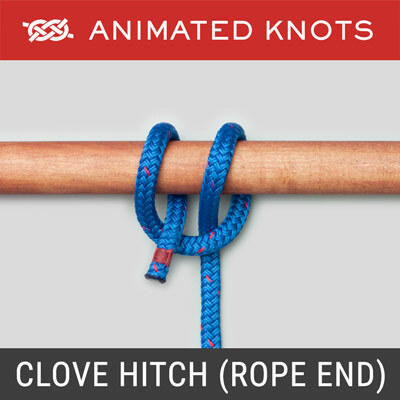 If tied in the air - it cannot bind and if it is allowed to capsize into the Half Hitch it will slip. 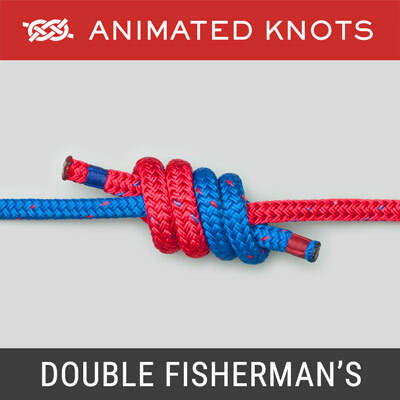 Two Half Knots: The first Half Knot is nearly always followed by a second – or more. Remember to take note of which way you tied it, e.g., "Right over Left". 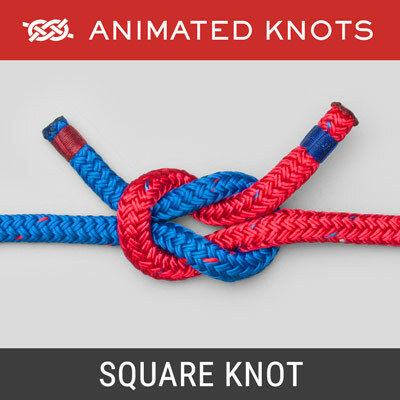 This is important because to correctly tie the Square (Reef) Knot the next Half Knot must be "Left over Right". When the second Half Knot is a repeat of the first, it creates a Granny Knot. 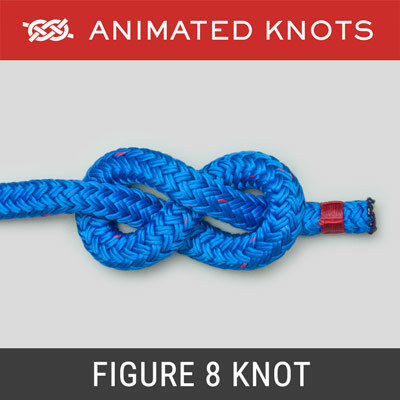 Recommendations: Although two Half Knots make a satisfactory "Knot", its use should be restricted. The knot created, the Square (or Reef) knot, is notorious for its ability to capsize and slip. It must never be used for critical loads. Macrame: In Macrame, the Half Knot is frequently tied around a central core of two or more strands. Depending on how it is tied it is known by other names. When tied with repeated identical Half Knots, the result is a spiral or Bannister Bar (ABOK # 2494, p 400); when tied with alternating left and right Half Knots, the result is called the Solomon Bar (ABOK # 2496, p 400).